Spacious, open floor plan with great windows. Inviting apartment features Pergo flooring entry, Berber carpeting, and a stacked washer/dryer set. 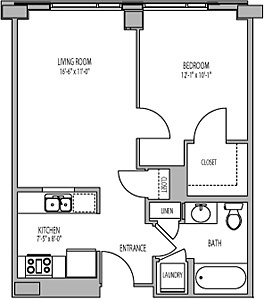 Enjoy abundant closets and a great kitchen with pass through.